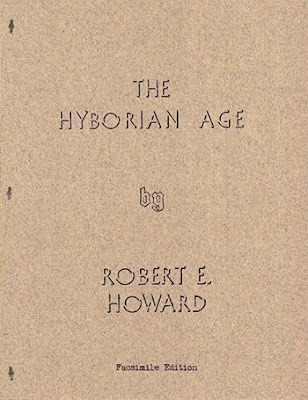 Robert E. Howard Days: It Won't Be Long Now! If you haven't already done so, it's not too late to send Howard items to the Silent Auction at the Friday night Banquet, c/o Project Pride, POB 534, Cross Plains, TX 76443. Or, if you're running a little late it would be ok to bring those items right to the House either on Thursday June 11 (when the House will be open 2-4) or Friday June 12th before noon. Packing for Howard Days is pretty easy as the weather in Texas in June is nice & warm so plan accordingly. Don't forget to include sunscreen and bug spray - word has it the wet weather Cross Plains has experienced lately will bring the mosquitoes out in full force! You could also throw in an extra Howard item or two to sell at the Swap Meet at the Pavilion. Skelos Press will have this nifty item available for the first time at Howard Days. We saw one of the originals at Windy City Pulp Con going for $3,750! Jeff Shanks promises this neat facsimile won't be quite that pricey! STOP THE PRESSES! HOLD ONTO YOUR FEDORAS! While the two-day schedule has remained pretty much the same, we do have one exciting change to mention. 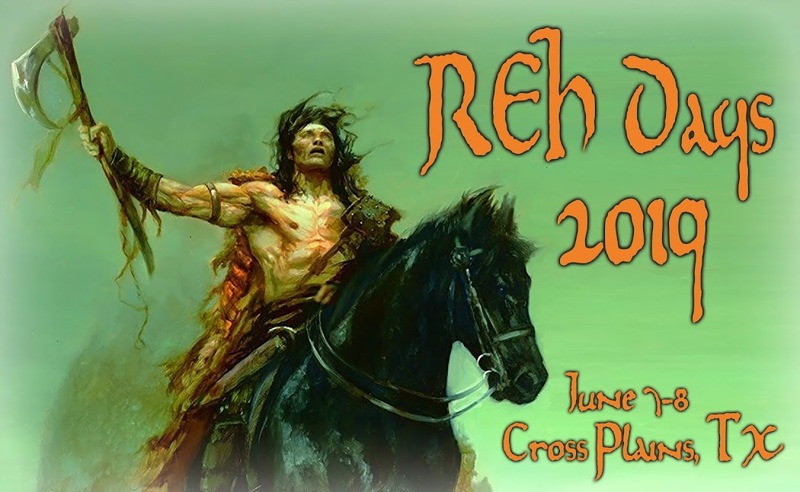 On Saturday afternoon the 2:30 "What's Up with REH?" panel has been scratched so that we may bring you an Interview with Brad and Jeff Howard, great grandsons of Dr. Howard's brother, David Terrell Howard! Well known Howard scholar and detective Patrice Louinet will be talking with Jeff and Brad about their fascinating family history. More surprises will ensue from this panel, so be sure to be there. Of course, there will be other special neat things happening this year at Howard Days - someone unexpected always show up! For so many of us, Howard Days is a great place to re-establish old friendships and make many new ones. There's plenty of room in Texas, so if you're still on the fence, come to Cross Plains and see why Howard Days is The Best Two Days in Howard Fandom! Six Weeks until Howard Days!